I’ve been training for over a year to run through the finish line at Ironman Wisconsin. I spent countless hours swimming, biking and running to achieve the goal I set in front of me. In 2016 alone I spent 222 hours and 36 minutes training. I traveled over 3,500 miles using my body alone. I climbed over 135k feet of elevation. I can’t imagine how many pints of Ben and Jerrys I ate or how many additional hours I slept. It was all worth it to cross the finish line. Leading up the race I was pretty excited and couldn’t sleep the night before. I went to bed around 9PM and woke up around 2:30 AM. The transition area opened at 5 AM for body painting and to do last minute checks for the gear. I rode my bike up to the Monona Terrace and checked my gear, got painted and then spent about an hour waiting the sun come up over the lake. I made my way down to the swim start and met some of my ROI teammates and cooled my nerves by chatting about what we had in store. Many of my teammates are diabetic so they had to get their meters and pumps setup at the table right off the start and finish. It made me realize that I had no business being worried about my swim. I positioned myself in the middle-rear of the mass of people that would be starting at the swim. I wanted to avoid the inner most group as it would be really busy and avoid the outer most group as there were a lot of people still getting in the water. I figured there would be a lull where I was positioned. I was wrong. I was constantly trampled by people trying to move towards the center. I had a hard time not getting really pissed off and making a scene but I just stayed the course and swam in the right direction. After the first and second turn there was a lot of open water and I could swim freely without too much traffic. I managed to finish the swim in around 1:30. It was exactly the time I was hoping for. I swam way straighter than I could have imagined. The bike is the event I enjoy the most. I told myself if I could get out of the swim, I could finish an Ironman, so I was very excited for the bike. I transitioned relatively quickly and hopped on my bike. I felt amazing. It was exactly what I wanted to do for the last couple weeks: ride a bike in the Ironman. The crowd support in Madison was amazing. I made it to Mt. Horeb and saw my dad and he gave words of support and I was off. The first time I climbed Midtown Rd, I was blow away by the number of people. It was single file because of the number of spectators. I got more smacks on the rump than I’m willing to admit and I made it up the hill without really realizing I was climbing. 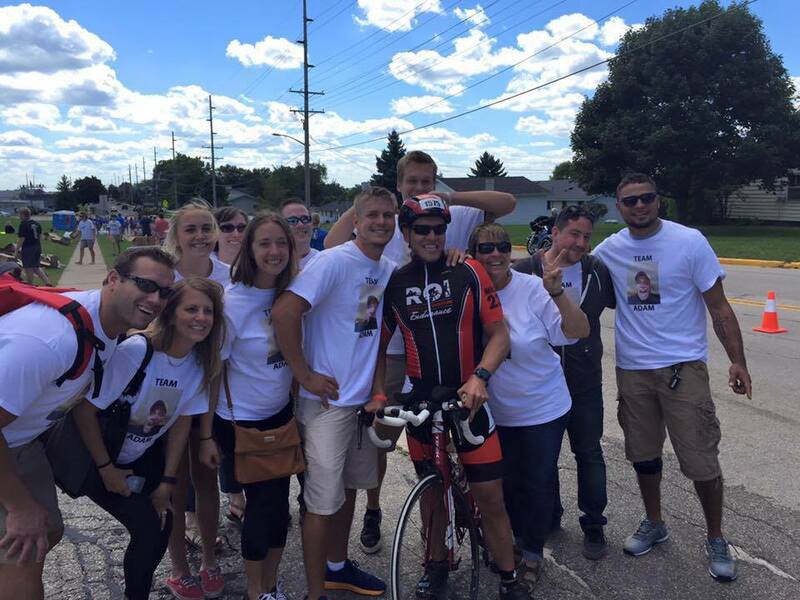 Around mile 75, I started to feel a bit tired but was coming up to Mount Horeb again and I knew my family would be there. Seeing them was a huge boost. Their support got me through the entire day. I continued on my journey, passing a couple friends on the way. Every town and group of spectators kept me going. Around mile 95, I started feeling a bit drained and was very ready to be done with my bike. Once I hopped on Whalen Road, I knew it was the home stretch and pushed out the last couple miles. I finished my bike around 7 hours and was exactly on track with my day overall. Once I started making my second lap of the two lap course, I started to falter. My legs weren’t cramped, they were just completely spent. I could barely shuffle once I made it to mile 20. I saw many people I knew and even ran along side some of my teammates but still couldn’t push myself past the pain. The last 6 miles were the most trying miles I’ve spent in my running shoes. I had to alternate between running and walking but knew I could make the finish. It was just a matter of time before getting back to the capital square to see the finish line. 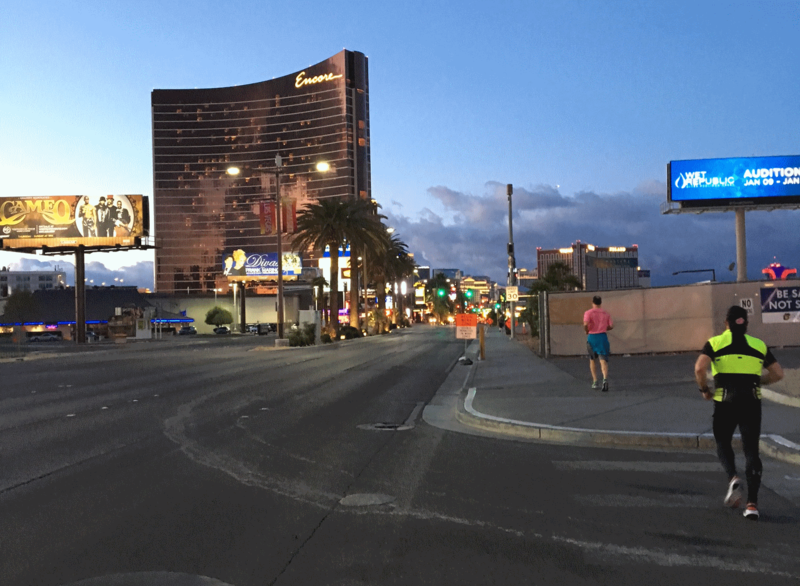 I ended up “running” a 5:26 marathon. It was extremely painful but I never really felt like quitting. Running through the chute was amazing. I ended up finishing just before 10 PM. I spent nearly 15 hours swimming, biking and running my way to the finish line. I now have a hat, shirt, metal and jacket that tell me I’m an Ironman. I might even get a tattoo if I feel like it…Above all, I have the achievement that no one can take from me and the realization that I can truly do whatever I put my mind to. I had amazing support from my friends, family and total strangers. It was an experience I’ll remember forever.